After a long wait, Gran Turismo 5 finally came out. After investing several hours in the game, I think I am finally in a position to write a fair review. Starting with Gran Turismo 3, I was a fan of the series. 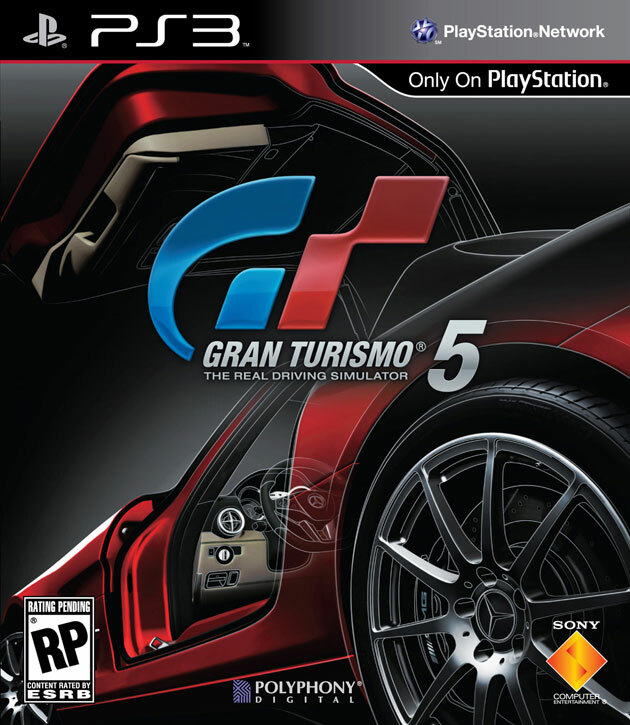 I loved that game so much that I pre-ordered Gran Turismo 4 which came out in 2005, and I was pleasantly surprised that I loved that game even more. Gran Turismo 3 and Gran Turismo 4 really tested the PlayStation 2’s capabilities both in terms of graphics and the realistic physics. As a result, I was excited to see what would happen when developer Polyphony Digital got a chance to take advantage of the PlayStation 3’s hardware. Was I impressed? So let’s start with the graphics. What is really weird is that while there are 1000 cars in Gran Turismo 5, they are divided into 2 categories: Premium and Standard cars. Premium cars, as you may guess, largely include cars like the Enzo Ferrari (Yes! They finally added Ferraris!) or Pagani Zonda. These cars come complete with fully detailed cockpits, so you can drive with a true cockpit view (a series first). Everything about the cars really scream, “THIS is what the PlayStation 3 can do!” I don’t think I’ve ever seen polygon counts as high as what have been put into the Premium cars. The Standard cars are…..a different story to say the least. To be perfectly blunt, they look like slightly improved models of Gran Turismo 4 cars, which isn’t surprising since many of these cars DID appear in Gran Turismo 4. While they look decent by themselves racing around (thanks to very much improved lighting effects), when you are flipping through cars in your garage, you can definitely see the difference in graphical quality; the polygons are much larger. Thankfully, the difference isn’t too shocking when you’re out on the track and you see Standard and Premium vehicles racing against one another, but this is the first time I played a GT and felt that Polyphony did not really do all they could with the graphics. Also, Standard cars lack the cockpit view; with these guys, you’re stuck with the views you had in Gran Turismo 4. ...and you have Standard cars like this Chevelle. Overall, this led to a very uneven experience with the graphics. Thankfully, however, the developers didn’t cut corners with the physics. Each car has a very distinct feel to it, though I think you’ll get more out of it by turning off the driving aids. Regardless of how good you are at this game, I would definitely turn off the skid recovery force; this is something that basically saves you from completely skidding off the track. In addition, you can fool around with the traction control and the anti-lock braking system. With the latter being off, I would recommend re-mapping the buttons on your PS3 pad because the touch-sensitivity on the X and square buttons aren’t enough to be able to really control the accelerator and brake inputs and chances are you will keep locking your wheels up by accident. Best is to buy a steering wheel with a good set of pedals, but assigning acceleration and braking to your shoulder buttons while making the right analog stick the shift button works too if you (like me) don’t want to drop the money for a racing wheel. The same applies to the sound of the cars. I very much would recommend investing in a good sound system to really get the most out of the sound. Each car, from the whine of the Enzo to the low rumble of the Viper, very much has its own personality thanks to the sound. Unlike in previous games, you don’t have to complete license tests before jumping into races; rather you are limited by your driving level. 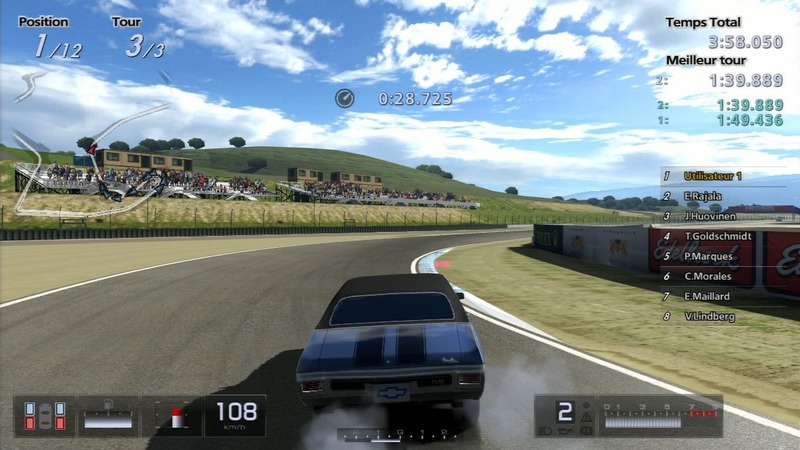 In classic RPG fashion, you gain experience points by taking part in racing events (including license tests) and that raises your level, which in turn opens up the types of race you may take part in and the cars you may drive. However, the license tests here, while actually relatively easy to pass compared to those in Gran Turismo 3 or 4, do give helpful tips for when it comes to actually racing. Now onto the experience on the track. While driving is as fun as ever, the AI sadly has not improved since any of the earlier games. The AI is pretty brain-dead and seems more or less oblivious to the player’s presence on the track. I can guarantee, NOTHING is as frustrating as losing because you decided to brake early (and not even suddenly) going into a corner and wind up getting rear ended by an AI driver behind you and completely losing control. The AI’s problems are more evident in events that take place on oval tracks like Daytona because there you can be driving at speeds of 200 mph. It happened all to often that I wound up getting boxed in between AI cars and then someone just turns a little, knicks me, and I get sent flying into a wall (at 200 mph) and, doing barrel rolls as I go. Damage modeling doesn’t become available until you get to level 10 or so, and even then the damage is cosmetic and does nothing to affect the performance of your car. However, this does lead to wind up being in a situation where you are simply unable to recover and catch up to the rest of the competitors, and often it becomes tempting to just quit a race before your first lap is up because it’s not going well. B-spec mode was introduced in Gran Turismo 4. There you can have an AI driver drive your car for you in races that you normally compete in. That made plenty of sense in events like 24-hour endurance races, but it also served as a nice way for players to get through most of the game without ever driving themselves. In GT5, B-spec is a mode all to itself with its own events. You start with a driver at level 0, and you have to raise him (almost like a child) by having him take part in races and leveling him up. At level 0, your driver makes the most brain-dead mistakes, and I guarantee you won’t win a B-spec event until you have your driver take part in (and lose) enough events until he’s level 2 or so. As your own B-spec class goes up, you can hire more drivers to raise. Also, I thought it was satisfying to see my drivers getting better (while B-spec drivers in GT4 were all really good by default), but at the same time I felt I had more fun driving my own car than directing. 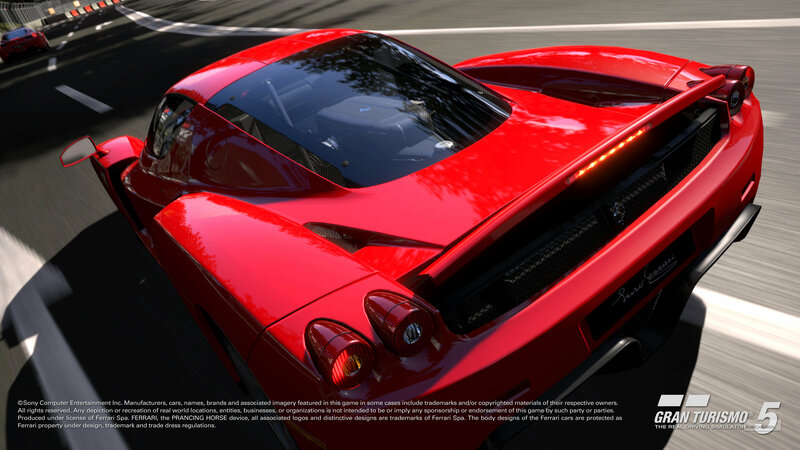 Gran Turismo 5 is the first game in the series to bring in online play. I tried it, and quickly decided to go back into playing single player. The reason was that the lobby was hard for me to figure out and, more so, there was no sense of matchmaking at all in terms of cars you can drive and such. Finally, there is the music that plays in the background while you race. For the love of everything holy, MAKE IT STOP! GT3 and GT4 actually had awesome soundtracks. I honestly suspect what GT5 was packaged with just functioned as placeholders because now you can upload your own music for your own custom playlist, which I recommend you do as soon as possible. On the other hand, some really sweet jazz tunes play in the menus, so this disparity is pretty odd. Overall, Gran Turismo 5 is a good game. At the same time, it failed to leave the same positive impression that GT4 did. I don’t know if it’s the world map in GT5 just not looking as friendly or the smaller number of events available or the still awful AI or what, but I just feel like I had happier memories playing Gran Turismo 4 than I did 5.